Fifty years of preaching excellence in one volume. 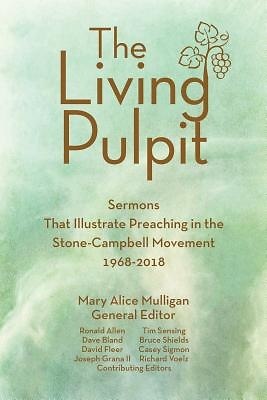 The Living Pulpit collects sermons from representative preachers in the Stone-Campbell Movement--pastors affiliated with the Churches of Christ, the Christian Churches/Churches of Christ, and the Christian Church (Disciples of Christ)--over the past 50 years. The fourth volume in a series that began in 1868, this collection of sermons from 40 ministers, reviewed by a diverse team of scholars, captures the theological themes and changing approaches to preaching across the Movement's three streams. Emerging from an era of mutual suspicion, the three streams have developed a better understanding, shared mutuality and respect for each stream's unique qualities, and cooperated in many venues, qualities reflected in this collection. The Living Pulpit 2018 helps preachers and scholars recognize where preaching has been--and why it has been there--in each stream, and where preaching appears to be going in a new mission field for Christianity and the Unity Movement.